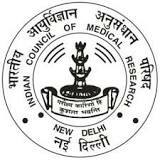 Indian Council of Medical Research (ICMR) New Delhi published notification for recruitment for 33 Consultant (Medical), Computer Programmer (Grade A), Project Assistants, Data Entry Operator (Grade A). View more information about recruitment for e.g. educational qualification, selection process, salary details, age limit, How to apply, address details, no of posts, name of posts, important dates, important links all are as under. Educational qualification: Having an experience to review the case records and assigning cause of Death. Educational qualification: Master’s degree in Computer Application, Information Technology, Computer Science from a recognized University or BE/B.Tech in Computer Engineering/IT/Computer Science/Computer Technology, from a recognized University. Educational qualification: Graduate in Statistics/Social Science/Social Work from a recognized university with Three years experience in health survey OR Master degree in Statistics/Social Science/Social Work. Educational qualification: 12th Pass from recognized board. A speed test of not less than 15000 key depressions per hour through speed test on computer.